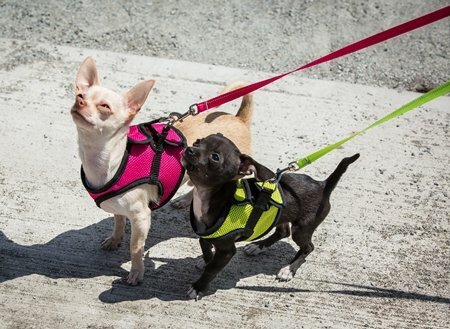 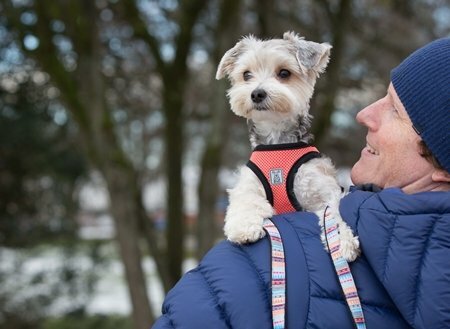 The Step In Cirque Harness was designed with small breeds in mind. 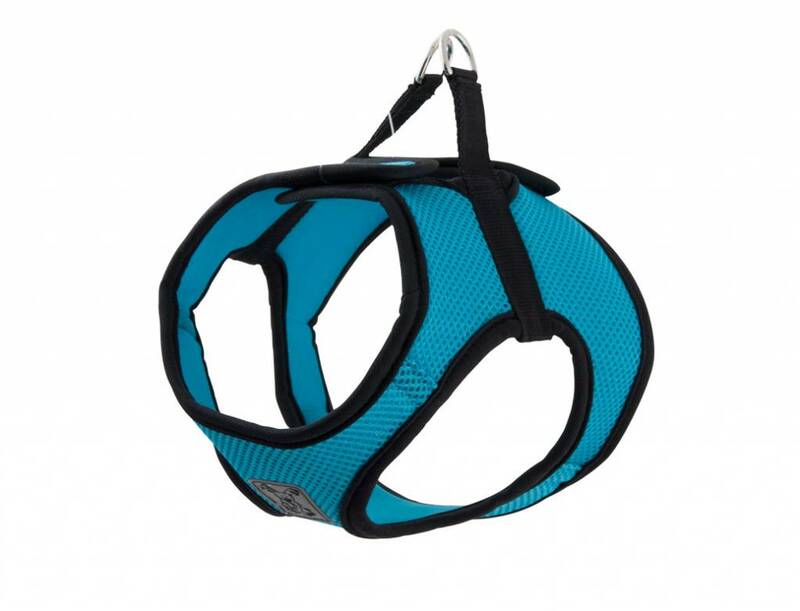 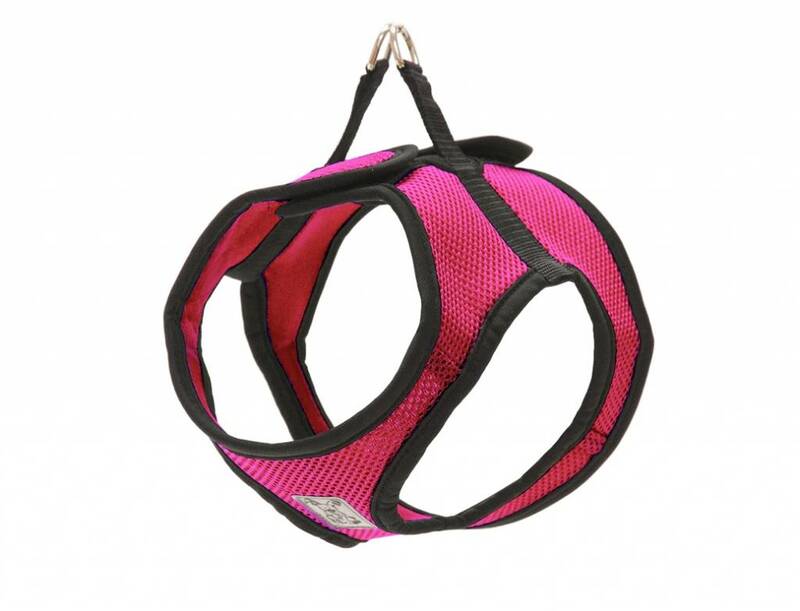 This breathable airmesh fabric harness is perfect for nervous dogs and cats as it doesn’t go over their heads. 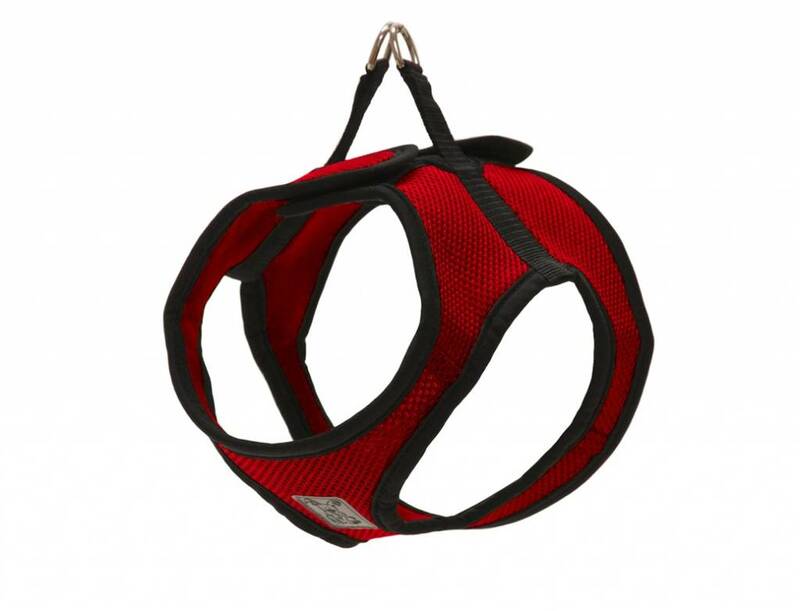 Great for people with reduced hand mobility since it secures with a hook and loop closure!